The HP Chromebook x2 recently received an update on the Canary channel that introduced Android 9 Pie. With the update also came support for Android keyboards, namely Gboard. The update might be coming to other Chromebooks very soon. 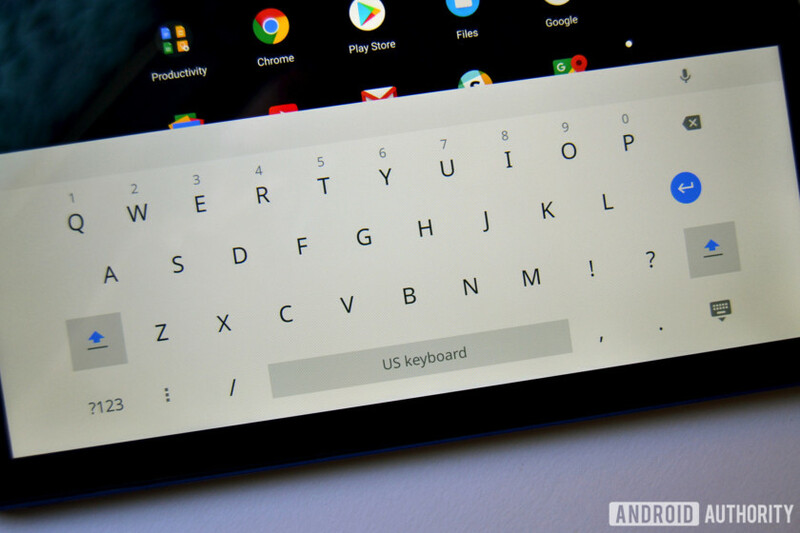 Update (November 19, 2018, 10:30am ET): Shortly after publishing their findings, XDA-Developers was able to get Gboard to work on Chrome OS. Unfortunately, the feature is still premature and is filled with performance bugs. If you want to try it out for yourself, you’re first going to need to install Chrome OS 72 which is currently available in the Dev and Canary channels. Next, open a Chrome window, head to chrome://flags, and then enable the #arc-input-method flag. After a quick reboot, head to the Play Store, download Gboard onto your computer, and then set it as your default keyboard. Just remember that Gboard is still buggy and it tends to freeze and stop working quite frequently. Original article (November 17, 2018, 11:54am ET): The best way to fix Chrome OS’ bare-bones software keyboard is to just bring Gboard over. While Google is at it, why not also bring some of that delicious Android 9 Pie support? According to XDA-Developers, that is exactly what Google looks to do with Chromebooks eventually. XDA-Developers noticed that their HP Chromebook x2 on the Chrome OS 72 Canary channel jumped from Android 7.1 Nougat to Pie, skipping over Android Oreo. The Google Pixelbook also received the Pie update on the Canary channel back in October, so it might be only a matter of time until other Chromebooks get the update. Based on what we saw on the Pixelbook, the changes with Pie are mostly aesthetic. The Android Settings page has the same colorful Pie look, while the Google Assistant pop-up is more prominent than before. The update also includes more Material Design aesthetics, which means plenty of white. Android Pie also means Android keyboard support, something that Chrome OS really needs. XDA-Developers noticed a new “Keyboard apps” section in the Input Method settings, but the listed keyboard options could not be enabled. Those keyboard options include Gboard, which would be a significant upgrade over the stock keyboard in Chrome OS. Even though Gboard could not be enabled, its appearance in the Chrome OS 72 Canary channel means that support for it and Android Pie should roll out to Chromebooks very soon. For now, this is all a work in progress that could further propel Chrome OS into something even more useful.